I have enjoyed all of the books by Martin Walker, in his series featuring Bruno, Chief of Police. 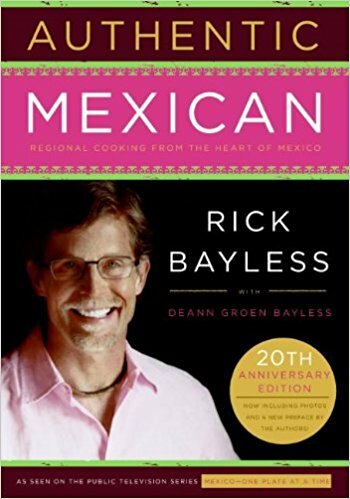 The Patriarch, is our current selection for Cook the Books Club. However, a disclaimer here - many of us, myself included, like to start reading books written in a series at the beginning, as further along, the returning characters have undergone some previous development. I suppose authors don't like to repeat themselves too much. So, you may want to go back and read the first first. 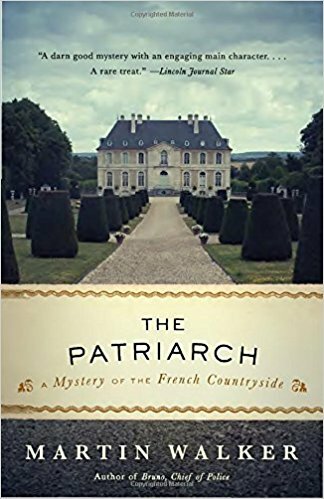 In this novel Bruno is invited to the chateau of a boyhood hero, a popular leader in the French Resistance, for a lavish birthday celebration. Of course a murder ensues and our village police chief gets involved. It looks to be an accident, but Bruno thinks otherwise. Family secrets and tragedy are exposed. Also causing trouble in the region, an animal rights activist is protecting deer without any means of keeping them safe, outraging local hunters. 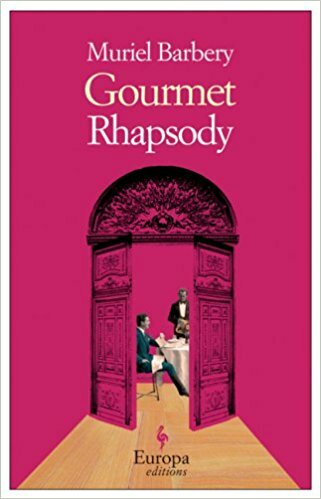 For this, as in his earlier novels, the food and wine descriptions were plentiful and tempting, however the only difficulty was in narrowing it down to what might be available, or in tune with the season. I decided to go with a take-off from one of Chief Bruno's very first mentions, a roast of lamb marinated in wine with herbs. Not being able to secure the Monbazillac, I went with a nice, earthy red Cotes-Du-Rhone from Saint Cosme instead, and made a braise of lamb shoulder stew chunks. 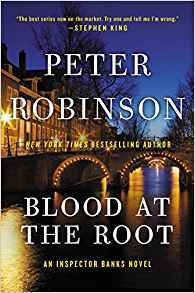 Blood at the Root, by Peter Robinson, is the 9th in his Inspector Banks mystery series. I don't like to admit it really, but a male author's perspective is frequently coming directly from Mars (just my personal opinion here) and I often find the writing of women more simpatico. It would be obvious to most why Banks' marriage is failing. The real mystery is the length of time his wife put up with things. But his problems, marital, and job related tend to get in the way of the murder solve, and there is a lack of real resolution at the end. We're supposed to read the next book apparently. 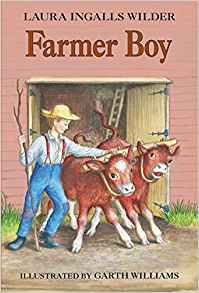 All that aside, I know some of you are total Peter Robinson fans, and actually the plot was quite intriguing with the supposed "good boy" turning out to be something else altogether. Neo Nazis, race riots and drug exporting behind it all. "In the long shadows of an alley a young man is murdered by an unknown assailant. The shattering echoes of his death will be felt throughout a small provincial community on the edge—because the victim was far from innocent, a youth whose sordid secret life was a tangle of bewildering contradictions. Now a dedicated policeman beset by his own tormenting demons must follow the leads into the darkest corners of the human mind in order to catch a killer." Don't you love discovering new authors and new foods? Rex Stout's Nero Wolfe Mysteries have just done it. He's been around (1886-1975) for quite a few years, but new to me all the same. 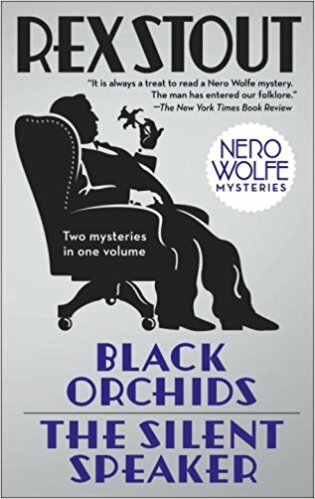 The detective hero, Nero Wolfe, head of his own agency, has been described as "overweight, epicurean and orchid-loving." And I love how he spends as much time with the orchids as he does solving mysteries and helping his chef, Fritz, to perfect various culinary creations. In the first of this volume, two novels in one, Black Orchiids and The Silent Speaker, Fritz was making some special sausages, saucisse minuit. Later on he and Nero, on the advice of a Southern girl, material witness in an ongoing murder investigation, tried adding chitlins to a batch of corned beef hash, in a quest to solve that cooking problem, of nearly equal importance to solving the identity of the murderer. No Tricks, just treats today! 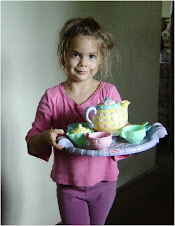 Saturday morning project! 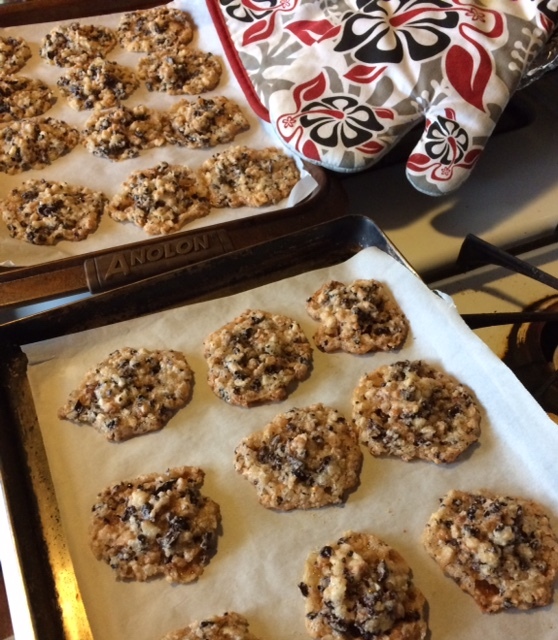 My first experiment in cacao nib brittle making, or brittle making period. 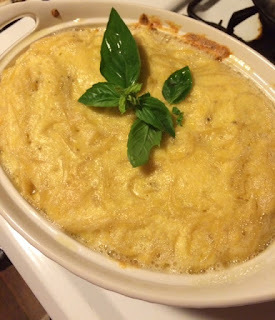 I found 4 recipes to experiment around with, and this is the first, maybe the only. The kind of guinea pig I don't mind being.. This one was courtesy of Marc Matsumoto at No Recipes. 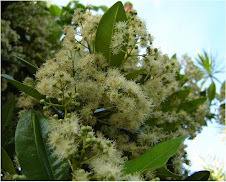 The only change I made was adding in macadamia nuts. His notes are excellent, so I've included them as well. My notes and changes are in pink. 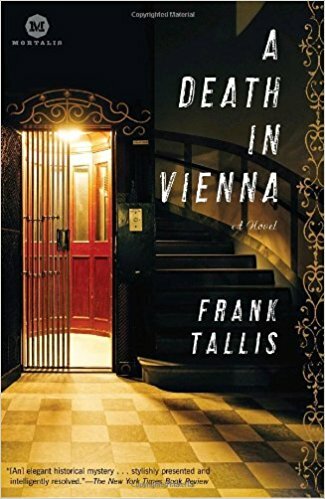 I just finished A Death in Vienna by Frank Tallis, the debut novel for a new series, and was quite impressed with his unique combination of the history of psychology and early 20th century Vienna, romance and mystery. This is the era of Freud, Klimt and Mahler. There is a new wave of artistic as well as scientific innovation, contending with old school thought, the reigning, male dominated conservatism which categorized abused and traumatized women as "hysterics" and often had them committed to hospitals for the mentally ill. It was also an age in which antisemitic feeling was gaining ground. This then is the setting for a murder, and the fledgling psychologist hero, Max Liebermann, assists his police detective friend in finding the totally unusual and unexpected solution. A beautiful medium is killed in mysterious circumstances – a murder that couldn’t have been committed by anyone alive, from all the available evidence. The supernatural is invoked, but of course, appearances can be deceiving. A fascinating, delightful read and highly recommended. 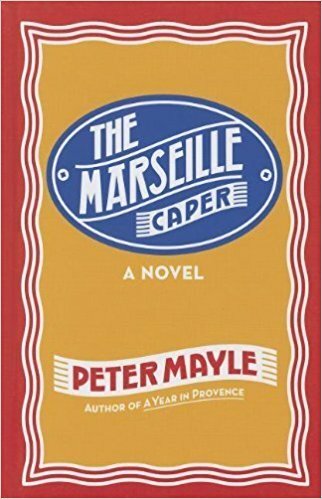 The Corsican Caper is another of Peter Mayles' light, summer reading type thrillers, with beaucoup good food and wine mingled throughout. I have been enjoying his various "Capers" with a few yet to read. Don't expect anything deep, or even thought-provoking here. Just frothy entertainment. 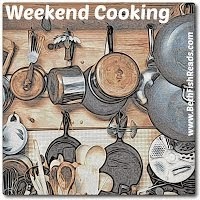 Despite which, you will get lots of cooking inspiration, and ideas for wine selections. 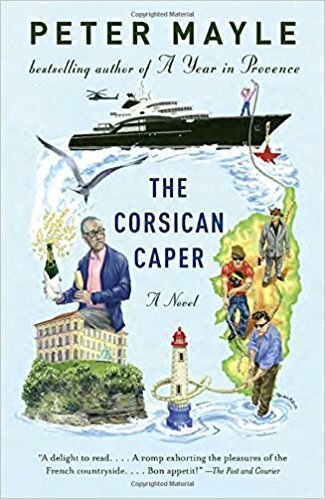 From the Publisher: In The Corsican Caper, "Master sleuth, Sam Levitt....investigates a case of deadly intrigue among the Riviera's jet set." His good friend, billionaire Francis Reboul, is being stalked and pressured to sell his villa to a Russian tycoon, who stops at nothing in getting what he wants. 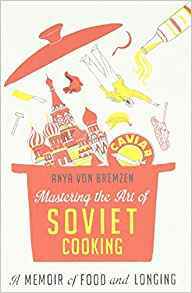 For Cook the Books Club this round we have been reading Mastering the Art of Soviet Cooking, by Anya Von Bremzen, the title of her memoir a bit tongue-in-cheek, as it might have been called Mastering the Art of Soviet Living. Covering three generations of Russian life, which included millions dead, famine and food lines, before she and her mother fled to America from the repression of a Brezhnev era USSR. At times horrific, sometimes sad and occasionally even funny, Anya's memoir is historically significant, though I was left somewhat confused, due to the held fantasy of an ideal socialism which never panned out. 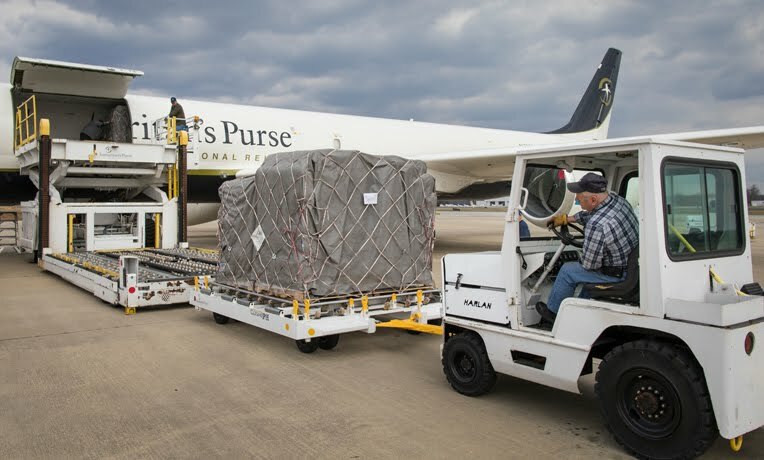 Russia's successive dictators led their country in a vast experiment, attempting to manipulate society, without regard for human nature, leaving former moral codes and God behind; those controlling powers having deemed religion "the opiate of the people." Von Bremzen seems in the end, to have a surprisingly retained, lingering nostalgia for this failed socialist dream, looking down on Putin and Capitalism. She at least has an excuse, having spent years of indoctrinated schooling in her home country. Here in America it's astonishing how many seem to believe we should travel down that same path. That it might work? A scary thought. This book should be required reading for Social Studies, Political Science or maybe Cultural Anthropology. Definitely lots of food for thought here. 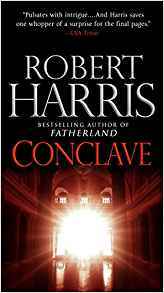 I am going to recommend an excellent book here: Conclave, by Robert Harris. When I pulled it off my TBR stack there were doubts. Am I really going to get into a book on a Vatican election? A good half of the books on that TBR stack do end up (on the way out) in the NTBR pile. Of course, leave it to Robert Harris. A great author can do wonders with almost any subject. And as a Wall Street Journal reviewer says, "Harris is incapable of writing an unenjoyable book" True in this case for sure. The story concerns a pope's death in the near future, questionable circumstances surrounding that, as well as the gathering of cardinals from around the world, the dynamics of their views and ambitions, as well as the election itself in the Sistine Chapel, all fraught with terrorist attack, protesters, and scandal. I totally engaged with Harris' protagonist, the Dean of the College of Cardinals (in his fictional account), Cardinal Lomeli. A truly spiritual man was well portrayed here, with human failings and struggles, who grows stronger through this trial. All of the characters were engagingly delineated and believable, as Harris is able to competently connect with Religious life and motivations. The ending was a bit incredible, but a great book altogether. Having been a fan of Ruth Reichl for quite a few years, I'm only surprised it took me this long to read her latest memoir/cookbook, Ruth Reichl, My Kitchen Year, 130 Recipes that Saved My Life. 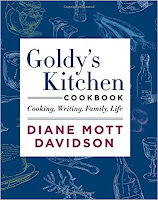 Most cookbooks, I find at least, you don't really read from cover to cover. This is one of those that you should. I suppose it's the memoir aspect. And, okay, so the title is a bit dramatic, but no one gets into the positions she has over the years without being something of a drama queen. Her book was written in a depressive aftermath following the rather abrupt shutdown of Gourmet magazine, where Reichl had been editor in chief for 10 years. 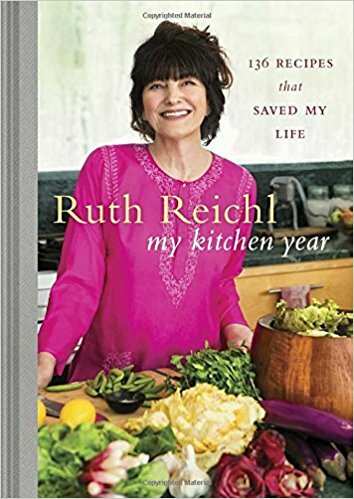 Most of us have gone through stuff equally horrid, say the death of someone close, relationship traumas, divorce, children gone off the deep end, job loss, etc., but for a writer like Reichl, it becomes material for a new book. Taking lemons and making lemonade. Which is good. I just wrote a few desperate poems. Though Jesus was and is my main support. "Sun coming up. Hawks hovering outside. Dancing in the kitchen with gnocchi and the blues. Good way to start a Sunday." "Shock has a chilling effect, particularly when it takes the form of an unexpected meeting with a man from whom you have recently stolen three million dollars' worth of wine." Although pretty lightweight, his novel was throughout, entertaining, funny, romantic and included a thrilling high jinks rescue off a grand yacht. There are gangster thugs, and an intrigue-ridden local real estate war going on in Marseille. Sam, the fixer, takes on various tricky jobs mainly to make his life more interesting. This is on top of all the wonderful food and wine descriptions, being as our intrepid hero and his client are both connoisseurs. Good summer reading. 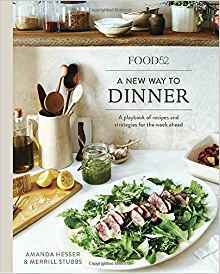 The only other book of Mayle's I've read was French Lessons, a memoir which our Cook the Books group did a few years back. 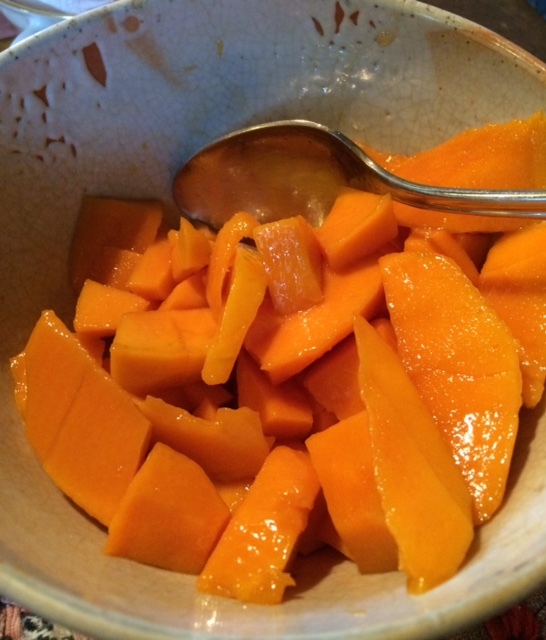 That link will take you to the round-up with all our inspired dishes for the book. I think, all in all, I like his fiction better. 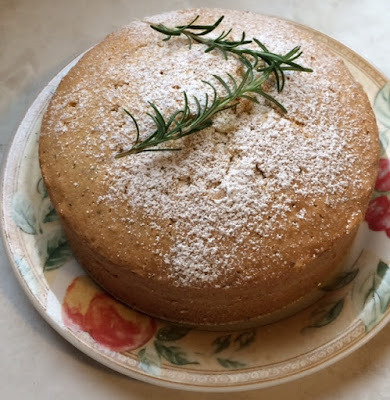 This post has only a marginal link between book and culinary interest. 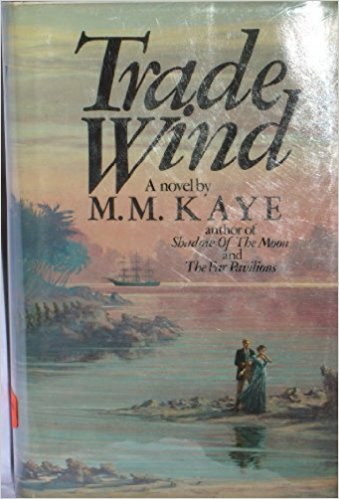 Trade wind by M. M. Kaye, is set in Zanzibar, so I had thought of investigating the food of that Island and making something. Never got to it. Anyway, I don't really recall much local cuisine being mentioned in the book. However, that is a digression from the central point of any review of her novel. 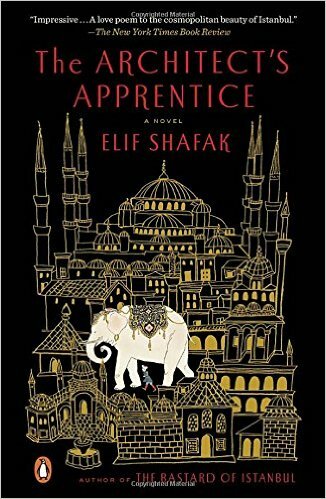 It is so well written and researched, with fabulous characters who come alive, right off the pages; pirates, slave traders, concubines and sultans included. The setting is a tropical paradise, though contrasted with the filth, disease and squalor of the time. 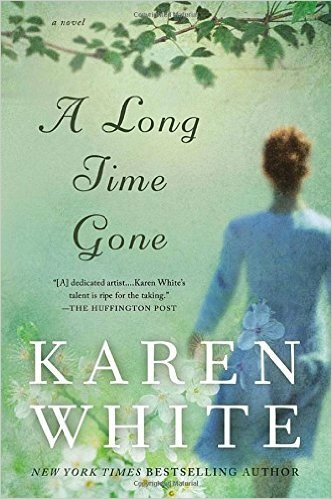 Ameliorated by romance, and fascinating history worked into an amazing plot and story. I absolutely loved this novel. 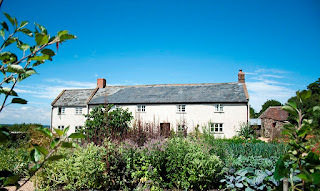 I've been enjoying dipping in and out of Hugh Fearnley-Whittingstall's River Cottage Every Day, though really, it's only a "cottage" in the sense of those lovely, big estates of a bygone era, on the East Coast, humbly referred to as cottages by their owners. 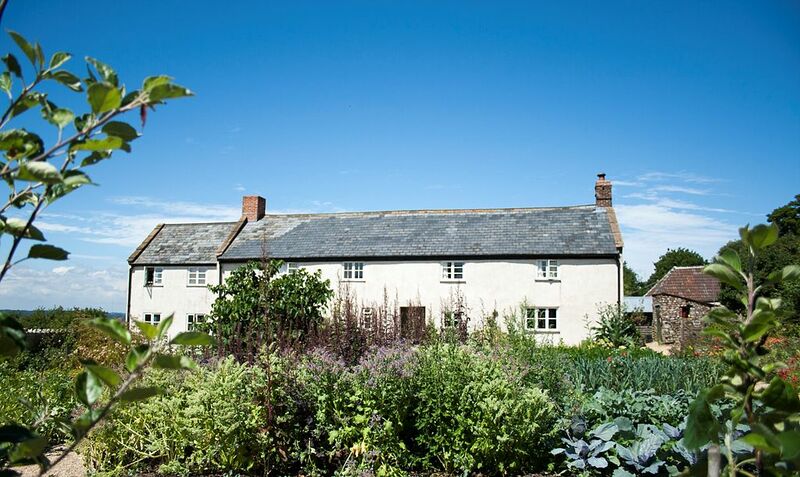 He at least is out in the vegetable patch occasionally, (judging from photos in the book) working at his gardening as well as cooking. 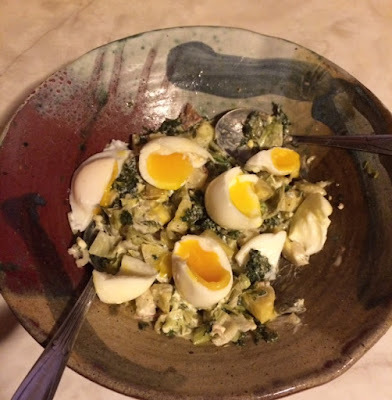 This recipe for warm leek and white bean salad with mustard dressing was delicious and a perfect first course along with some fresh baked bread. 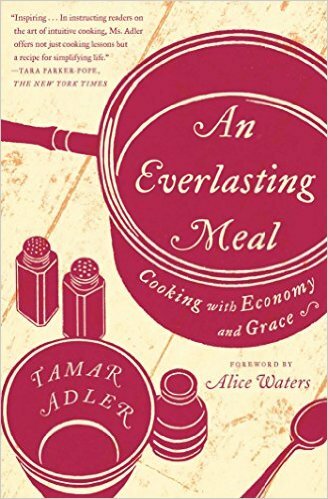 We must give some credit here as well to Tamar Adler's section on beans in An Everlasting Meal. She was such an encouragement to me about something so basic. 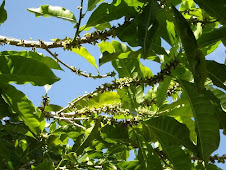 After a run of bad experiences, due to the keeping ability of dried beans in Hawaii. 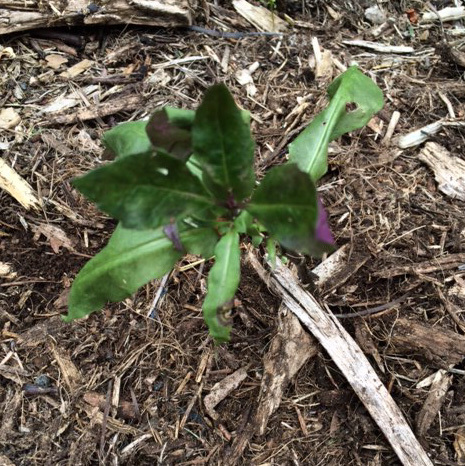 I tossed all of mine and have begun again, with small amounts of a select few, meant to be used rather soon. 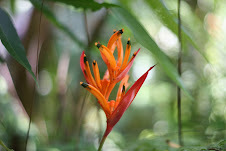 They don't keep long in the tropics, and refuse to soften. 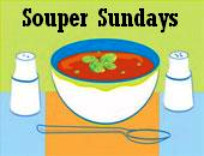 She takes such care with the preparation, and suggests making a big pot of them, enough for several meals during the week. 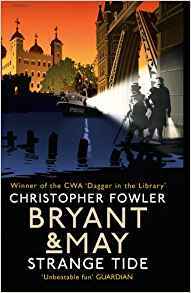 My latest read in the Peculiar Crimes Unit Mystery series by Christopher Fowler, is Bryant & May: Strange Tide. I'm caught up now and will just have to wait (impatiently) for the next in line. 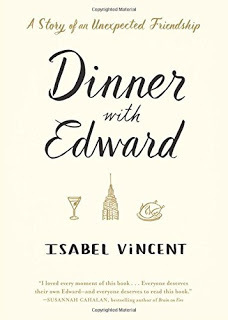 Anyway, being as the I Heart Cooking Clubs (IHCC) theme this week is Pub Grub, it fits right in with my fiction book selection. The two elderly detectives spend a goodly amount of time in London pubs. 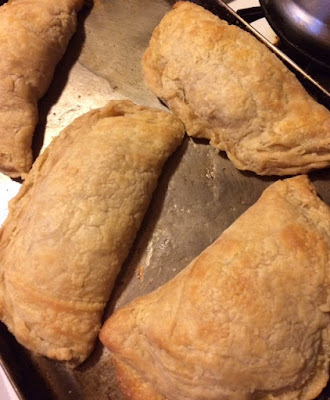 So, we're serving them up a digital lunch of Chicken and Leek pasties. Though that term is a bit cringe-worthy, harkening as it does to naughty night club strippers. I would prefer turnovers, empanadas, meat pies, hand pies, take your pick. 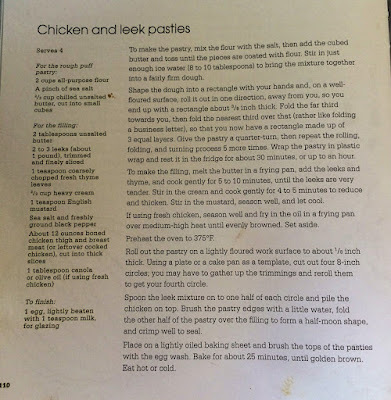 Good, tasty finger food at any rate - the recipe from our IHCC featured chef, Hugh Fearnley-Whittingstall's scrumptious cookbook, River Cottage Every Day. Arthur Bryant, the oldest of the detective duo, by 3 1/2 years, is also the funny, wildly eccentric, totally intuitive, odd man out to his straight man, John May, who tries, unsuccessfully, to keep his partner in line with Metropolitan Police standards of operation. Let's just say that Mr. Bryant operates out of the box. Christopher Fowler has got to be one of the most inventive, witty, and hilariously funny writers on the scene today. Mystery or otherwise. As The Guardian says, he "takes delight in stuffing his books with esoteric facts, together with a cast of splendidly eccentric characters (and) corkscrew plots, wit, verve and some apposite social commentary, they make for unbeatable fun." Totally on spot. Of course I've raved on previously about his novels, The Memory of Blood, and The Water Room. Terrific reads. So, Pub Grub. I've had some in my day, not a whole lot as I don't really frequent pubs, since my husband doesn't drink. In London I did enjoy fish and chips with a side of mushy peas in a nice pub near the Tower bridge, in Honolulu there are a couple of Irish pubs we've gone to, where the music was great, and in Ireland we popped into one or two. That's about it. Still, you don't need to be in a pub to serve up some typical pub grub. 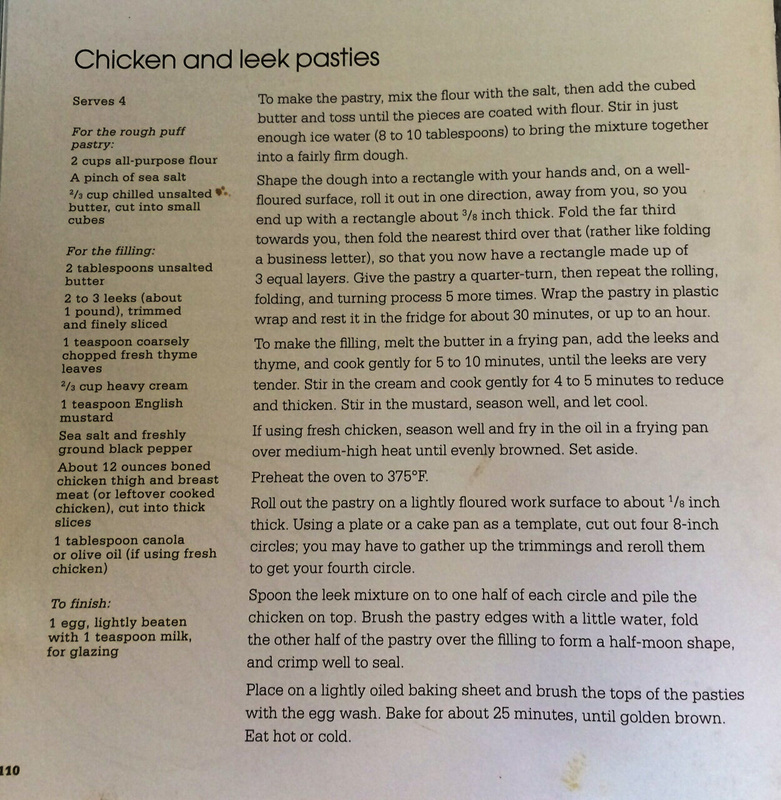 I especially liked the way Hugh's recipe separates the slices of chicken from the lightly caramelized onion and cream filling. When you bite in it's not all smushed together, and the taste is sublime. I used a thick kefir cream and previously prepared chicken. (you notice how I'm not using the L-O's term anymore?) 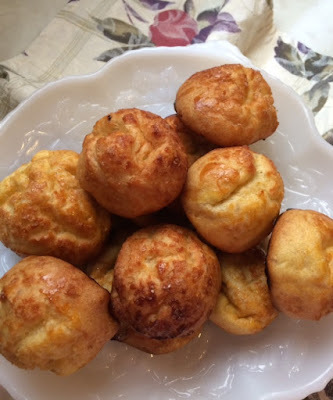 My pastries didn't get crimped too beautifully though. Still they were yummy. 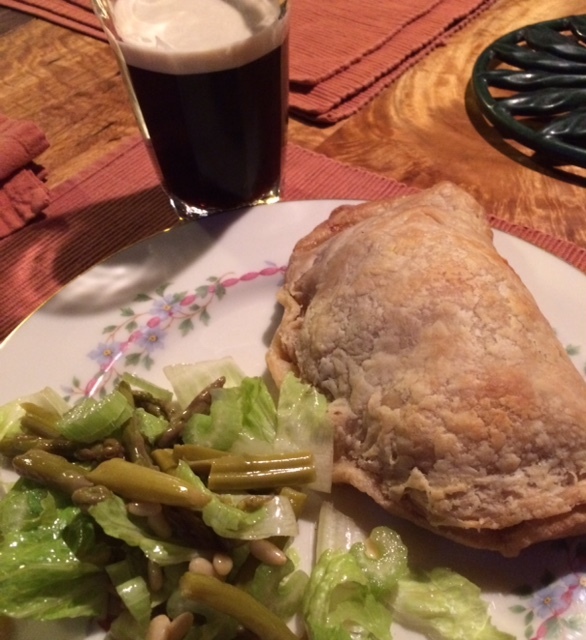 These little meat pies are great to take on picnics, as your lunch to go, or just for dinner with a bit of salad. You'll notice I'm also having mine with a glass of Guinness for more pub authenticity. And, now a slight diversion on a little known pathway, about that particular sort of Guinness, the Draught, black label with the harp, it gets rid of tape or heart worms in your cat or dog. I kid you not. Just 1 oz. per 20 lbs. of critter, due to the particular type of hops, and that Dublin water, which renders worms sterile. You can do your own research, but here's a link.. I was looking for something more natural, to replace the rather toxic meds from the vet, for our elderly kitty and came upon this info. And, yes the cat is fine now. End of rave. I'm linking this post to Beth Fish Reads for her Weekend Cooking event and to IHCC (I Heart Cooking Clubs), so be sure to drop in and link up yourself or get some good book suggestions and or cooking ideas. An absolutely delightful book!! 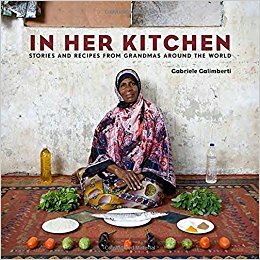 In Her Kitchen, Stories and Recipes from Grandmas Around the World, by Gabriele Calimberti. Soooo precious, these lovely women in their kitchens with a meal they've prepared for family and friends. And, what a raft of countries are represented in the pages of his beautifully photographed book. 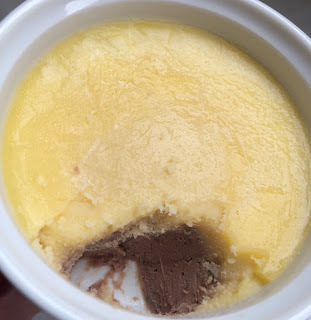 Gabriele begins with a photo of his own grandmother, Marisa, in her kitchen in Castiglion Fiorentino, Italy on one side and a shot of the meal on the opposing page, then her story and recipe follow on the next two pages. He continues with that format throughout the book, making for 58 evocative profiles and recipes. 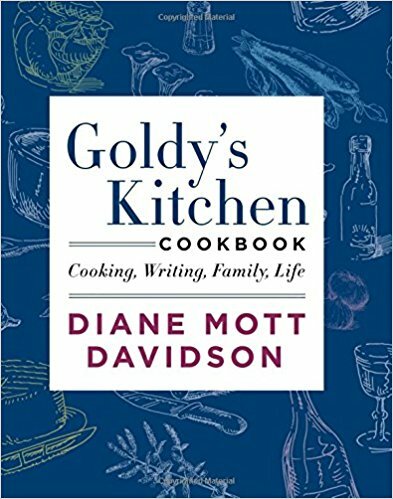 "The kitchens he photographed illustrate both the diversity of world cuisine and the universal nature of a dish served up with generosity and love. At each woman's table, Gabriele became a curious and hungry grandson, exploring new ingredients and gathering stories....From a Swedish housewife and her homemade lox and vegetables to a Zambian villager and her roasted spiced chicken, this collection features a global palate: included are hand-stuffed empanadas from Argentina, twice-fried pork and vegetables from China, slow-roasted ratatouille from France, and a decadent toffee trifle from the United States." 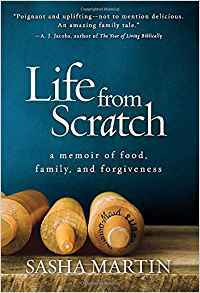 Our Cook the Books Club selection for April/May is Life from Scratch, a Memoir of Food, Family and Forgiveness, by Sasha Martin. All in all, heart rending, and poignant, but not my favorite memoir. Just extemporizing here, as it's all another's history, but right at the outset, one would have thought that a woman with "Mom's" independence of mind, and spirited personality would have tucked her kids into their car, with all essentials and split for the West Coast or somewhere in between, rather than give up her precious children once again. Especially since she regretted turning over her first two to an ex. It's not explicitly stated, but perhaps she would have lost her welfare? It happens all the time, for one reason or another, children are put into foster homes. That whole scenario bothered me. Particularly as we see the awful effects it had on the children of both her relationships, based on Martin's memories. Definitely where forgiveness came into play. 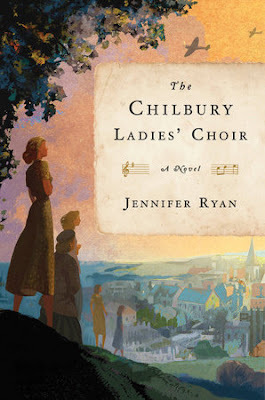 Children without the mother they loved, no father, the business of her beloved brother's molestation and suicide, the coldness of her foster mother (which you can actually sort of understand, taking on two teens, angry and unhappy at leaving their own mother). An interesting, honest, albeit sad story. 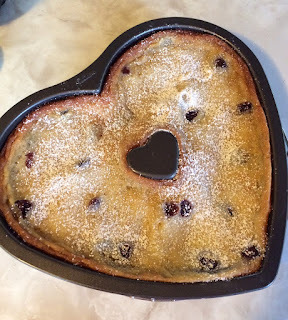 "When I tell people that I am writing the story of a blocked and broken brain --- and oh, by the way, there will be recipes, too --- I get some strange looks. 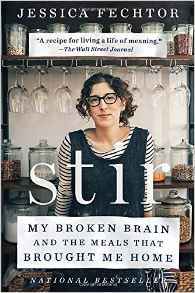 Food is not supposed to top the list of things you think about, apparently, when you're recovering from a near-fatal brain explosion." 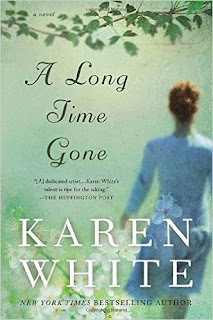 Surprisingly, to me anyway, it was a terrific read, due to the author's straightforward account, evocative writing, and her ability to keep a sense of perspective, objectivity and (gallows?) humor through a truly horrific time. All that and the fact that we know she does get better in the end. 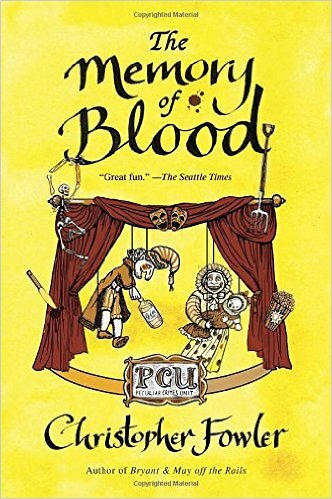 I've just finished another of the marvelous Peculiar Crimes Unit novels by Christopher Fowler, The Memory of Blood. Books like this one are what keep me reading! 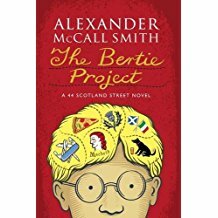 Wit, comic relief, craziness, wit, entertaining, outstanding characters, mysteries, wit, you get the idea. Very well written and yes, witty, original writing. Plus, the murderer gets caught. 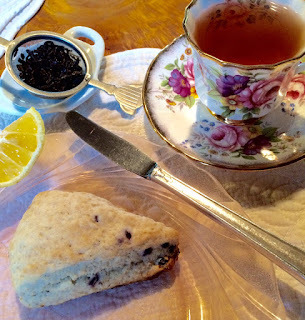 Not too long ago I reviewed another of their adventures, The Water Room. Arthur Bryant and John May, a partnership of elderly detectives, along with their quirky, team of investigators, form what is known as the Peculiar Crimes Unit, an off-shoot of the Metropolitan Police, of which the affix 'peculiar' originally was meant in the sense of 'particular', in order to handle politically sensitive cases, or those with the possibility of causing panics or general public malaise. Here, the cast party for a shocking new play ends with an even more shocking murder. As the daughter of a prominent government official is involved, the case gets referred to the PCU. "Arthur Bryant stood there pretending not to shiver. He was tightly wrapped in a 1951 Festival of Britain scarf, with a Bloody Mary in one hand and a ketchup-crusted cocktail sausage in the other. Above his head, a withered yellow corpse hung inside a rusting gibbet iron. 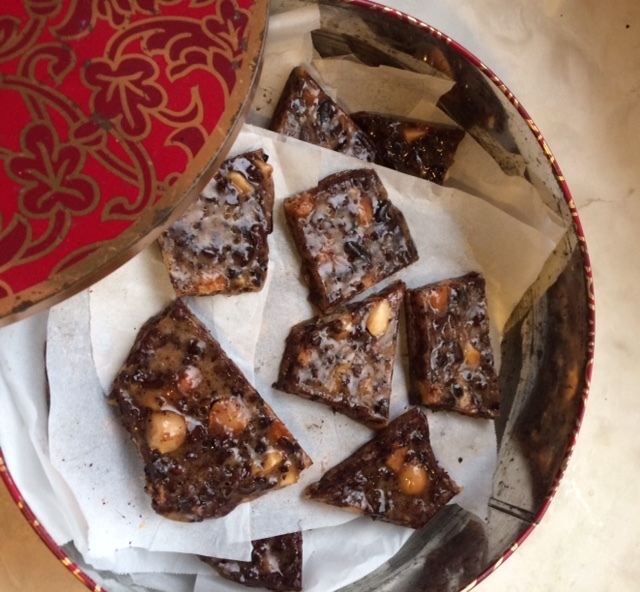 'Well,' he said, 'this is nice, isn't it?'" 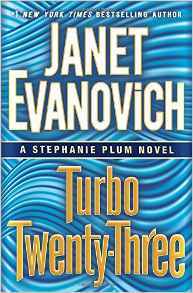 Stephanie Plum, in this latest novel, Turbo Twenty-Three, by Janet Evanovich, is not eating any better than usual. She is in fact, the Queen of Fast Foods, an often inept bounty hunter for her cousin Vinnie in Trenton, N.J., and occasional undercover for a security company. 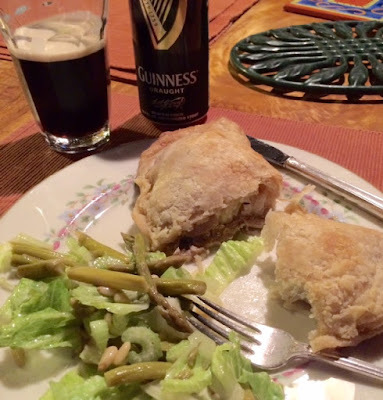 When she does eat good it's her mother's or boyfriend's mother's cooking, or sometimes tasty neighborhood deli take-out, like cannoli and a Jersey hot dog. 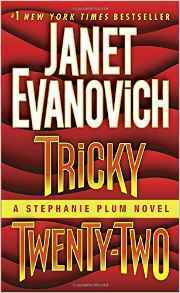 Turbo Twenty-Three involves murder at the local ice cream plant, requiring Stephanie to go undercover on the factory line, on the loading dock and in an ice cream truck. Among other things. There is a comment at one point, by her partner: "It's sad to see a broken-down ice cream truck full of bullet holes," Lula said, "What's this country coming to?" And, on top of all the humor, they actually catch bad guys and help solve mysteries. One of Stephanie and Lula's favorite stops on the job is their local Cluck-in-a-Bucket, where Plum might get a Hot and Crunchy Clucky Meal and Lula a Supersized Bucket of Cluck with the Works, which includes mashed potatoes and gravy, biscuits, coleslaw, fried okra and an apple turnover. After ordering, Lula remarked, looking back up at the menu, "I might need some ice cream as a palate cleanser." Some nights Stephanie's fiance, Joe, will do BBQ. 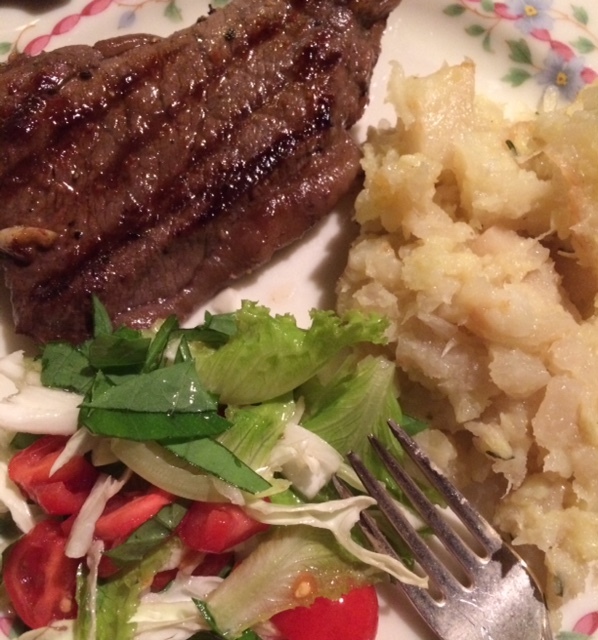 So, in honor of the grill, I've served up some grilled steak and mash, which I mentioned in an earlier post. I love that mixed mash and am adding some cassava root to the parsnips, celery root and sweet potato for this batch. So, despite the post title, this is not bad food. That is in the book. 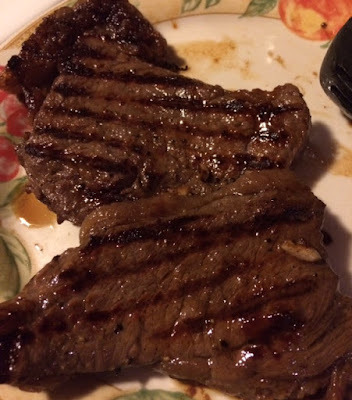 You all know how to grill steaks, nothing new here. I used only a bit of marinade on them, a few tablespoons of shoyu, garlic, a dash of vinegar and a tablespoon of olive oil. 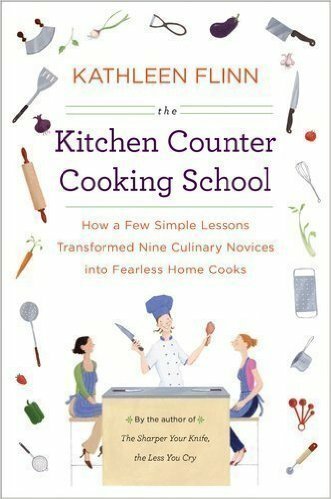 Will share with Beth Fish Reads for her Weekend Cooking event and with the Foodies Read Challenge. 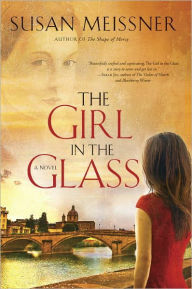 The Girl in the Glass, which I've just finished, is the first book by Susan Meissner I've yet read. But not the last. 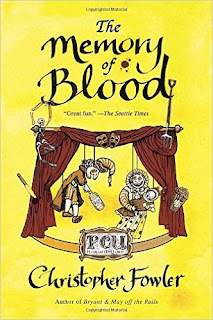 I certainly enjoyed her blending of past and present, some history of 16th century Florence and the fabulous art of that city with the lives of her central characters. 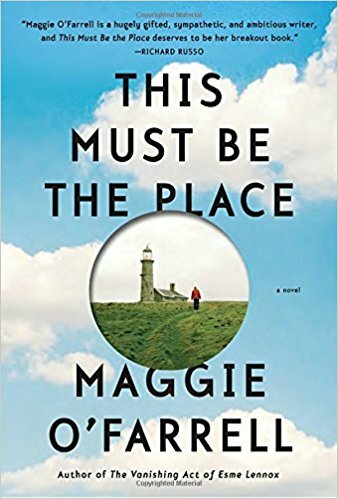 Meg has been devastated by the divorce of her parents, and when her beloved grandmother, dies, even more so. She had been promised a trip to Florence, first by her nonna, whose home city it is, and then by her father. She kept putting off going by herself, expecting him to take her, always trusting that eventually he would, despite his history of being unreliable. 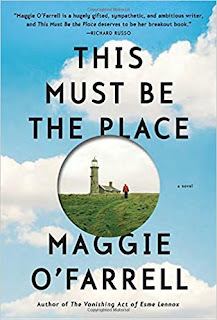 Meg does finally get there, though not according to plan, to find her dream city all she had expected and more. 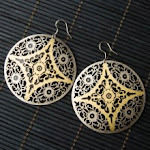 Meg is an editor for a publishing house and is able to combine work with the thrill of finally visiting Florence. She meets a woman, she had corresponded with through the publishing company, who is writing a memoir type travel book, and who hears messages from a long dead Medici princess. Romance is involved as well as some mystery and ultimately, Meg's discovery that what we can imagine is real. This blend of fantasy with a character others view as slightly unhinged, is a veer off my usual type of read, so I'm thinking it qualifies as my read for the Monthly Motifs Challenge. The motif for January being "to read a book with a character (or written by an author) of a race, religion, or sexual orientation other than your own." As well the slightly quirky character is also Catholic, so different from me in that way.